Break out those ugly sweaters from Christmases past and wear ’em proudly for the Ugly Sweater Party at Cav’s Headhouse! Join us and our friends from Miller Lite for a wild night of draft specials, giveaways, and more! The Miller Lite girls will be in the house and a ton of Miller swag giveaways like holiday-themed knitwear, Uber codes, and so much more! Winners of the Miller swag will be announced at 9pm! 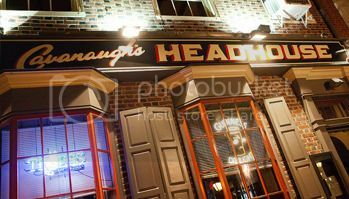 Ring in 2019 in style with us at Cavs Headhouse! *Pub games including darts & more! Plus a Complimentary Champagne Toast at Midnight!